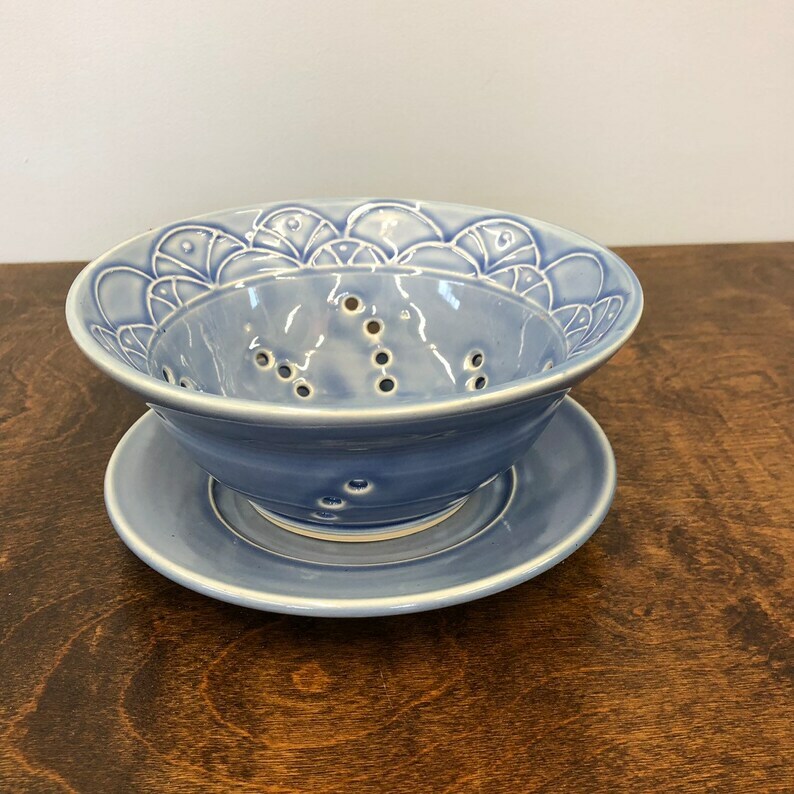 Small Berry Bowl and saucer set. Slip trail mermaid deco border. Glazed in Blue.